Details are scarce, but Super Mario Party, the next version of Nintendo’s popular party game series, is coming to the Switch, and it will enable you to pair at least two Switches together and play as though the screens were physically one. The game, which will be available October 5 and was announced during the Nintendo Direct video stream during E3 today, isn’t like other Switch party games. Those games, like the launch title 1-2-Switch, allowed anyone you were hanging with to play. Super Mario Party seems to be a four player-max experience, with each person using their own Joy-Con controller, and both Switch devices being used to track scores and simply play the minigames available. 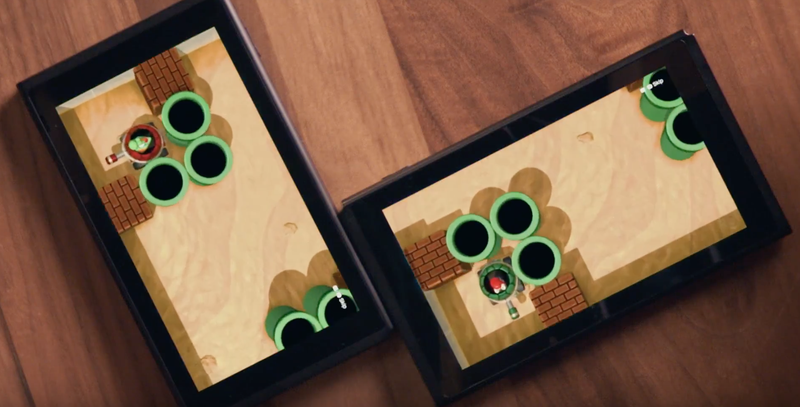 The video only showed off a maximum of four players and two Switches, but we’ve reached out to Nintendo to see if more players are possible and to learn more about how, exactly, the two devices pair together, as well as how many copies of the game will be needed to play. We’ll update this story if we hear back. Wait, Skyrim: Very Special Edition For Amazon's Alexa is Kinda Real?